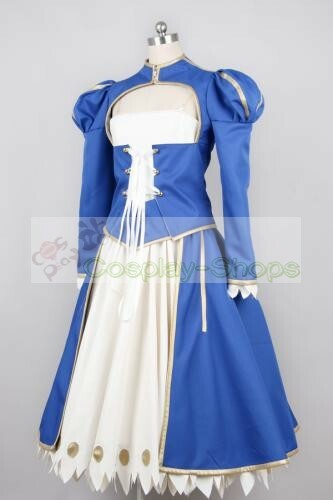 The Cheap Fate Stay Night Saber Blue and White Cosplay Costume is made from top-grade materials with best handcraft. We made the Charming Fate Stay Night Saber Blue and White Cosplay Costume according your size. 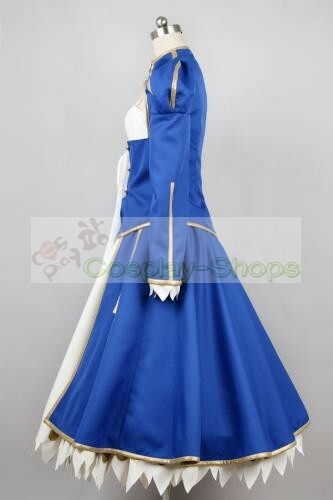 Of course, if you will provide us with the Fate Stay Night Saber Blue and White Cosplay Costume pictures or samples,the similar rate will be more than 90% .Own a unique Charming Fate Stay Night Saber Blue and White Cosplay Costume is very important to your cosplay convention. Of course, you also can visit our online Tailor Made Cosplay Costumes Store Cosplay-Shops.com, and contact us directly if you have any requirements. 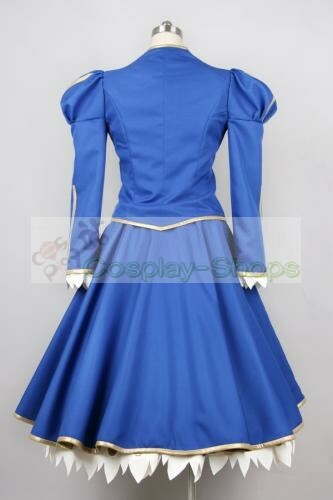 If you are also fond of Saber Cosplay, this Saber costume will be the really long-awaited item for you, which enriches your Fate Stay Night Saber cosplay convention performance and comforts you throughout the coming show.Making you look the same with Saber . Check it out instantly? 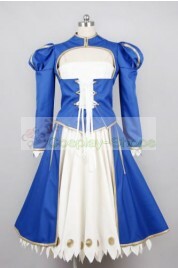 Make you the same as character in this Fate Stay Night Saber Costume for cosplay show. Perfect!!! Review by Denise S.
Very fast delivery Review by Kadri J.